Every chapter deeper I got into this book the more it exceeded my expectations. Perhaps I expected that since this book is a textbook it would be a little stale, but I would now rate it as valuable as a read as it is a textbook. One reviewer said this book uses the template of Jesus crucified and risen in setting out to defend the faith rather than the Gospel which is used in most cases. That struck me as a non-distinction, which also lowered my anticipation, yet this book has effectively surveyed the past, brought us to the present, and stayed true to the Word of God. The first section laid the foundation for apologetics in four chapters. That includes definitions, proof texts, examination of various approaches, and a fine review of the history of apologetics. These chapters teach us much, start the ball rolling on our grasping apologetics, and enlighten us on the successes and failures of apologists in the past. There’s also much to learn about how the culture at the time affected how apologetics was done. The next section digs into theology in relation to apologetics in five chapters. Another pass is taken on the various approaches of apologetics so that we might glean what is good from each one. You will learn how far various methods can go, and where they might let you down in dealing with another person. 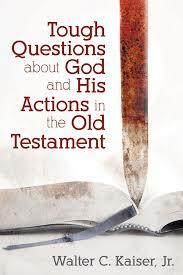 I felt the chapters were ideal in helping pull out what was best from what apologists of the past have done. There’s also much emphasis on our living out our faith as a key in apologetics. I fear that is too often missed. In this theological section, apologetics are brought to the foot of the cross. Important information like how our sin nature corrupts human reason, our unrealistic expectations, and the absolute necessity of humility in apologetics. We are also taught to look at the whole person which will use reason to aim at the mind but will also look at the heart, or the whole of the person. The final section looks at the practice of apologetics in four chapters. These chapters had brilliant insights into our age. What we call postmodernism, they call late modernism, but in any event, our times create new challenges in apologetics. The incredible amount of spin that goes on in our culture makes people think that our presentation of the Gospel is but our attempt to spin the facts to gain something from them. The authors give wonderful suggestions on how to deal with that difficulty in the most effective way. Kindness and humility are still essential. There’s no doubt that this book beautifully succeeds in its advertised goal of being a quality textbook. To my mind, it too would win out as one of the best possible books for us to have to use in our own study of apologetics. I guarantee you it will be one of the first ones that I will reach for! This book grabs you. You pick it up, anticipate what you will find, and then get surprised. 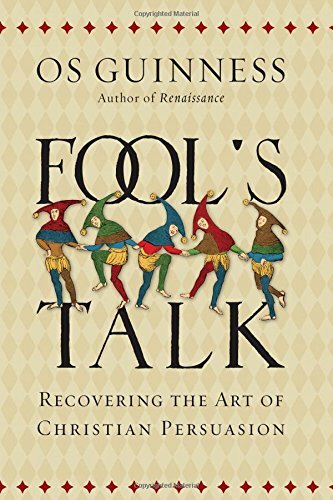 Though being real, or “raw” as they say, is all the rage these days, after you read this book you may decide, as I did, that you’ve hardly ever read something that’s “raw”. So much of the rawness of our day is merely façades more painstakingly crafted, but here the author detonates dynamite under his façades. He is a philosopher, an academic, an accomplished speaker, the man that is supposed to have it all figured out, but in the waves of bewilderment that crashed upon his soul as his wife descended into the twilight of dementia he found out he did not. What he could figure out when he forced himself to examine this bizarre, unexpected place is worth contemplating. It reminded me of my dark places, which were not as dark as his, and taught me what to examine the next time. This effort is not along the same lines as the other titles Mr. Groothuis has produced, other than his quality writing skills. For example, I was greatly instructed by his “Philosophy in Seven Sentences”. He was able to marshal philosophy and especially the Bible for his struggles. He did it without an ounce of superficiality. He wasn’t able to tie everything up in neat little packages either. The profound part was that the more crushed he became the more sufficient his Savior became. I was moved. Usually, when I review a book I overview the contents, but I think that would be a mistake in this case. Just experience it. Approach every chapter with a clean slate. You won’t regret it! Henri Blocher is a respected theologian who delivers here what he calls “a primer on apologetics”. Though I would disagree with him on a few points, he gives much wonderful fodder for the tension between faith and reason. His style reminds me in some degree of C. S. Lewis. He has a knack for making some deep concepts understandable. This is my first encounter with Mr. Blocher, but rank him as a voice worth considering in the area of practical apologetics. Chapter 1 is something of a historical survey that describes where we’ve come from and where we are today. He makes clear how reason has become in conflict with Scripture. He even explains that many of us feel fatigue because we are required to use reason every day. In chapter 2 he exposes rationalism to the light of Scripture. That entails explaining what rationalism is and how its use can never be free of assumptions. He ends the chapter with explicit explanation of what the Bible teaches on the subject. Chapter 3 is outstanding as he tackles the rationalistic belief that the Bible is a nebulous book twisted to say whatever the current user wants it to say. That leads to a discussion of the biblical text itself and its trustworthiness. The middle of this chapter is extraordinary in its explanation of the rationalist’s presuppositions that are brought into their conclusions. They see redaction and other things that undermine the trustworthiness of the text because of their own presupposition to reject it. In other words, they present a self-fulfilling prophecy. Chapter 4 discusses what modern science is, and how a misunderstanding of what it is partly explains why it is so antagonistic to faith. In chapter 5 he disallows the conclusion that scientific research has positively concluded the Bible to be in error. I can’t follow him in what appears to be his belief in theistic evolution, or in his explanation of the reality of miracles in how he still downplays a few of them himself, but still there is much food for thought even in that discussion. I can agree, though, with him and his conclusion that the believer is not to press for miracles because the Lord only uses them on occasion to confirm his message. At only a little over 100 pages, I imagine this is just right for what many people may want to ponder the dilemma that divides faith and reason. I think everyone would be helped by interacting with what is said here, so I recommend this volume warmly. This book is one paradigm-shifting title. Douglas Petrovich is a diligent scholar who is considered an expert in “epigraphy, palaeography, lexicography, and comparative linguistics and literature”. The scholarly world has been in an ongoing debate for many years over what language has the world’s first alphabetic script. Mr. Petrovich has worked through the ancient specimens that we have with their proto-consonantal script and has proven conclusively that it is Hebrew. He has even translated these previously untranslated specimens. That the highly-respected scholar Eugene Merrill has studied his work and given it the highest recommendation proves its trustworthiness. The beautiful thing about this new book is the boon this it is to those of us who believe in the complete veracity of the Bible. I don’t mean it’s a substitute for faith, but that it is another help to doubters. A quick Google search will show you that several major news organizations have already carried stories on Mr. Petrovich’s work. While many of us so appreciate this book, it will probably be something like a bomb going off in the scholarly world where so many do not believe the Bible they study. Going forward, all doubters should be sent to this book. Though this book has all the necessary minute data to prove its thesis, non-specialists like me can still follow the argument. He well presents the history of what has been thought over the years and carefully outlines what he went through to reach his conclusions. He is not just pulling his conclusions out of the sky. No, he put an incredible amount of work into solving this long-standing puzzle. The book itself is attractive and has the design of other fine Carta Jerusalem titles. The maps and illustrations are outstanding and really help you to follow what Mr. Petrovich is saying. This book will be discussed for many years and will likely reach the status of one of the most important volumes ever in its field. I highly recommend it. This book is an experience. It takes an impenetrable subject for many and makes it fascinating. I found this volume far superior to a semester-long undergraduate class I took years ago. He makes it relevant, interesting, and all with a Christian guide to take you along. The writing style is engaging, enjoyable, and captivating. I only use the cliche “I couldn’t put it down” because I never dreamed that would be the case. Taking seven great philosophers along with their most famous statements was a masterstroke in giving an introduction to philosophy in a small compass. Again, I opened the book thinking that would never work, only to discover it did. He begins with Protagoras, who I knew nothing about, and taught me about using a measurement outside ourselves. He taught something about today. When he used a statement that many agree with, including his students, and then shocked us with the knowledge that it was a philosophy statement of a serial killer, you knew he had something worthwhile to say. He brought Socrates to life. In fact, I feel I never knew him at all until this book. I learned too how we hear more of a caricature of these philosophers rather than what they really believed. It’s the same with Aristotle. We learn too that if we ignore the basic Law of Noncontradiction we give up everything we could ever know. He well explained Augustine from a philosophic viewpoint while in no way damaging his theology. He made plain Descartes and Pascal too. He made me realize I had Kierkegard all wrong in that superb chapter. All in all, this is a masterpiece. Ken Ham returns to a subject that he has written on before–our losing the younger generation from the faith. As you would expect from this famous creationist, he sees the denial of the historicity of the Genesis account as part of it. Still, he and co-author Jeff Kinley, assisted by researcher Britt Beemer, probe deeper to all aspects of moral relativism and an insufficient view of God’s Word that have brought on this problem. The research is at once fascinating and heartbreaking. His assessments of why we are where we are seem spot on. When he shares that children being raised in Sunday School are leaving churches and the faith at a higher rate than those who weren’t, we get the greatest shock of all. His explanation that how we teach Bible “stories” is adding to the problem gets one thinking. The book is excellent, the analysis keen. The only downside is there is a bit of repetition at times. Still, he looked at issues from several vantage points. Public school was shown to statistically predict a bad turnout for children. He well showed differences in only borrowing someone else’s faith. The chart on page 99 showing “renters” versus “owners” well illustrated the problem. Chapter 9 was the best as he gave a plan that used the Bible as the basis for our raising our kids with results different than these dismal statistics he shared. His analysis of current trends nationally shared in appendixes was helpful. This book is a fine resource! This book lives up to its title. When it says it addresses tough questions, it actually tackles the toughest questions possible to hurl at the OT. The answers are not superficial, but show the deft hand of a seasoned scholar. Walter Kaiser, writing at the twilight of his career, shows his expertise in the OT. The book is a jewel. I found chapters two, three, and six on ethnic cleansing, truth or deception by God, and polygamy respectively to be the most profound. He completely educated me on polygamy. I actually have a firm conclusion on polygamy unlike I had before. I imagine you will learn much you didn’t know there too. That is not to say all chapters are equally good. I personally found chapter nine on women quite a stretch. Still, as a whole I have never seen a book just like this one. It will help you apologetically with questioners, it will help you shore up your own thoughts, and it will help you never denigrate the OT. The OT works with the NT and never against it. God is the same in both testaments. This book is a grand reminder. Pastors, teachers, interested Christians, and even seekers will be blessed by this volume. I would recommend it to everyone! Could a book be more timely? Here is a man who has spent 40 years in the trenches of apologetics in our declining culture and who distills what he has learned and gives it to us in this volume. He sees apologetics in its noblest form—a way to lead others to Christ. I hate to use a trite designation like “instant classic”, but I believe this is the right place to use it. Mr. Guinness had me hooked in the Introduction as he perceptively diagnosed our age as the Age of the Self and the Selfie. We can never engage in this age unless we understand it first. It is the effects of that age that has done a number on what he calls “the art of Christian persuasion.” The loss of evangelism has been the greater cost, he rightly explains. He pays tribute to C. S. Lewis, Frances Schaeffer, and Peter Berger as those who have influenced him over the years and this volume is truly worthy to stand beside their works. I am shocked at how many sentences I underlined and how many paragraphs I starred all through this volume. It never lagged, it had no fluff or filler, and was masterful to the last page. I often give more of a summary of content in a book review, but in this case I just want to encourage Christians everywhere to read and interact with this volume. I fear my summary might obscure how good this book really is. I give the highest recommendation possible to this volume that will likely be as important in 30 years as it will be when first released. I received this book free from the publisher. I was not required to write a positive review. The opinions I have expressed are my own. I am disclosing this in accordance with the Federal Trade Commission’s 16 CFR, Part 255. 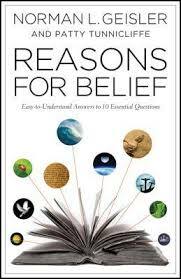 To believe in God must we believe against reason? Not on your life! Sometimes many of us feel at a loss to answer the tough questions that the world can throw our way. We believe but sometimes can’t quite grasp the way to explain what our hearts know to be true. On the other hand, there are some out there who want to believe but are not quite sure what to think. In either case, this fine volume by Norman Geisler and Patty Tunnicliffe and published by Bethany House will be of immense help. The design of the book is ideal in that you could grasp its contents if this were your first time to wrestle with these issues while the widely-read Bible student will love it too. The book is laid out in addressing the 10 most challenging objections you will hear. Things like does real truth exist or is it just what is truth to you. The idea of relative truth has done incredible damage to our society. Beyond just saying it is wrong, learn here just how pathetically illogical the whole concept is. He covers beautifully in the next 3 chapters the challenges involving the existence of God. I assure you the intellectuals of our day don’t have a corner on the market of logic on these issues. In fact, you might find them fully bankrupt when you finish reading here. When you get settled on the reality that God simply must exist, then there are challenges on if the God of the Bible is the true God. He explains carefully and guides us to Christ. Whether the issue be the trustworthiness of the biblical manuscripts, or the existence of miracles, or the Resurrection, he guides us with the skilled hands of a master worker. I’ve enjoyed reading Mr. Geisler since I was a freshman in a public university. He meant a great deal to me then, and he still has his touch. I love it and highly recommend this book.